Here are 5 big reasons why your company needs a patent strategy. 1. Patents help your company build market share and margins. If you want to know why it’s so important to patent your company’s key products and services, look no further than Apple’s iPhone. Although it accounts for only a minority of global smartphone sales, it captures a majority of its profits. 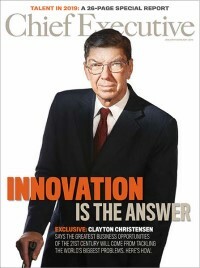 From Google’s seminal PageRank patent to Amazon’s patented “one-click” purchase system that freed customers from the hassle of having to re-enter personal and payment information each time they bought something, companies in almost every industry and product category have discovered that patents enable them to command greater market share and higher margins than would otherwise be the case. Fractus had a problem, however. As a mid-sized business, it couldn’t possibly manufacture enough fractal-based antennas for the 1.5 billion smartphones sold each year worldwide. But thanks to its patents, Fractus was able to license its fractal antenna technology to 90% of the world’s smartphone makers, earning it a royalty on every device sold. 2. Patents help you defend your market share against rivals and infringers. Amazon’s patented “one-click” purchase system gave the company a huge competitive advantage—one which much-larger rival Barnes and Noble tried to mitigate by copying it for its own use. To defend its surging market share, Amazon filed a patent infringement suit against B&N, and the judge in the case ordered the brick-and-mortar book retailer to stop infringing Amazon’s patent. This enabled Amazon to take the lead in Internet retailing—a lead they never lost—and the rest, as they say, is history. But Nest was not defenseless. It had already begun patenting its products, and eventually would own several hundred patents and patent applications. It also acquired 60 third-party patents relating to its product line from patent aggregator Intellectual Ventures, and this helped the company buttress its intellectual property (IP) position even more. The lawsuit is still pending. But if Honeywell’s goal was to litigate its rival out of business, Nest’s patents have now made that impossible. 3. Patent research can enhance your R&D and product development efforts. America’s database of more than 2 million active patents represents the greatest library of technical knowledge on the planet. Indeed, experts estimate that as much as 80% of the world’s technical knowledge is contained only in patent documents. A smart strategy is to mine this patent knowledgebase for the know-how needed to improve one’s own products and services. And that’s exactly what many companies do. A 2006 study by French economists Francois Leveque and Yann Meniere, in fact, found that 88% of U.S., European, and Japanese businesses said they actually rely upon the information disclosed in patents to keep up with technology advances and direct their own R&D efforts. Many companies also use patent data as a rich source of competitive intelligence about marketplace rivals that sheds light on their future product and business strategies. But patent research can also help you reduce your own R&D costs by spotting vital technologies for your products that you can license-in or acquire for less than the cost of developing them in-house. Remember, half of all manufacturing and service firms employ outside inventions in their own product development effort (see below), so why shouldn’t you? What’s more, the technical knowledge contained in these outside patented inventions, not to mention the expertise of their inventors, can be yours at relatively little cost, thereby enabling you to reduce the overall cost of discovering, developing, and patenting your own innovations. 4. Patents can help cement joint ventures, strategic partnerships and acquisitions. According to a 2014 National Science Foundation-backed study, 49% of manufacturing and service firms used inventions obtained from external sources to develop their most important new products and services. In many cases, the patents on those inventions served as the legal scaffolding around which joint ventures and strategic partnerships were constructed. 5. Patents help your company secure financing, reduce its cost of capital, and develop new sources of revenue. The patent-backed Deutsche Bank loans that chipmaker Avago used in its $37 billion acquisition of Broadcom last year—and more recently, Blackrock’s $300 million patent-backed loan to wearable device maker Jawbone—suggest that patent-secured financing has now gone mainstream. In fact, more than 14% of all financings underwritten by JPMorgan Chase and Bank of America over the last five years—including loans to General Motors and Alcatel-Lucent—have involved a security interest in the recipients’ patent portfolios. It’s an increasingly-popular form of financing for companies because lenders can lower the cost of capital when the loans are backed by what is usually the firm’s most valuable asset—their intellectual assets, which experts say represent 80% of the value of public companies today. What’s more, following IBM’s example in generating more than $1 billion annually from licensing its patents to non-competing firms, many companies today generate tens of millions or even hundreds of millions of dollars annually from patent licensing—98% of it pure profit. There is no reason why the patents you’ve invested enormous resources in obtaining can’t also become a profit center for your company. David Pridham is CEO and Brad Sheafe is chief intellectual property officer of the patent advisory and optimization firm Dominion Harbor Group.